My name is Jacqui Thorndyke, and I'm a cook book addict. There, I've said it, now cancel my Amazon account and send me to a self-help group. Jamie, Gordon, Nigella, Good Housekeeping, Michelin Star chefs, Indian, Thai, Japanese, British, Cakes, Cocktails, Salads… you name it, I've got it. I'm also fairly particular about the condition of my beloved books – they either have to be beautifully food splattered, representing the regularity of their use, or remain in pristine condition. Needless to say, when MrF left one of my Raymond Blanc books (pardon Monsieur) out overnight in the rain last year, after using it to fan the BBQ… one was not amused; in fact, on finding the sodden collection of Michelin star chef recipes slumped sadly over the picnic bench, I may well have threatened some form of physical violence. Overreaction? Nah. So do I need all these cook books? 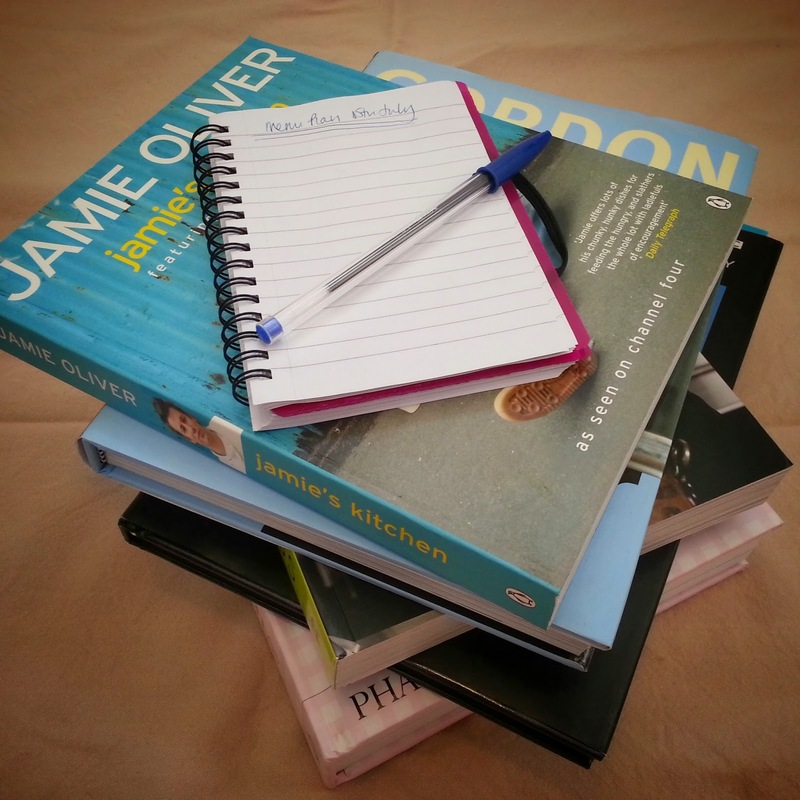 Of course I do; if I need inspiration for what to cook next week, have a dinner party or family event to cater for, I reach for my trusty cook books and plough through a selective stack of my favourites. Happily nose-deep in images of elegant starters, sumptuous mains and delectable desserts, I could while away hours on this part of the process alone. I've unearthed recipes from within these volumes that have wowed guests, along with recipes that have gone on to be regulars on the Foodie Family dinner table – Gizzi Erskine’s Moroccan Chicken, Jamie Oliver’s Tray Bake Fish, plus Nigella’s Italian Roast Chicken to name just a few. My cook books are a constant source of enjoyment for me and I cannot get enough; the littering of them in my Amazon wish list is proof enough. It therefore may come as some surprise to you, as it did to me, that the most satisfying recipe I ever learnt was how to make perfect cheese on toast…. from none other than MrF himself. I know – annoying right?! He owns maybe two cook books at best, rarely cooks our meals and has a recipe repertoire of about four dishes (that’s another story entirely) – including cheese on toast! He does, however, make the most amazing cheese on toast. It bugged me enormously when, after tasting his masterpiece, I was unable to recreate it myself – despite several attempts. Feeling somewhat defeated, I gave in and admitted I needed his recipe...or rather rules! Cover the UNTOASTED side with slices of cheese, before returning to the grill (you can add seasoning at this stage -salt, pepper, Worcestershire sauce maybe). So there you have it – the perfect cheese on toast. With all the stunning array of recipes I have at my disposal, an incredibly simple cheese on bloomin’ toast by my very own MrF is the star of the show; how very annoying. Don’t think for one minute though I'm ditching the cook books, I’ll have ordered at least another two by the time this goes to print!